A little background about myself - I’m a huge believer in play. My holidays were filled with pleasant memories of running around the neighbourhood till my feet turned black and blistered, alternating between games like “hide and seek”, “catching”, and street football with my friends till it was time to go home for dinner. My childhood was fun and stress-free, and I can only look back with a lot of fondness and nostalgia. These pleasant experiences eventually shaped my perspective on extra classes during the holidays, and they were not particularly positive. After all, I learned so much through unregulated play. Besides, kids have already done enough structured learning in school! As such, I was always against the idea of children going for extra classes unless they wanted it for themselves. When I hear stories of parents sending their kids to numerous enrichment classes and camps during the holidays, I cannot help but feel sorry for these kids who will not share a childhood as exciting as mine. Until one innovation camp knocked me off my pedestal. I attended Smarter Me’s Change The World Innovation Camp as a facilitator. And over the course of five days, I made a 360 degree mindset change towards “enrichment camps”. 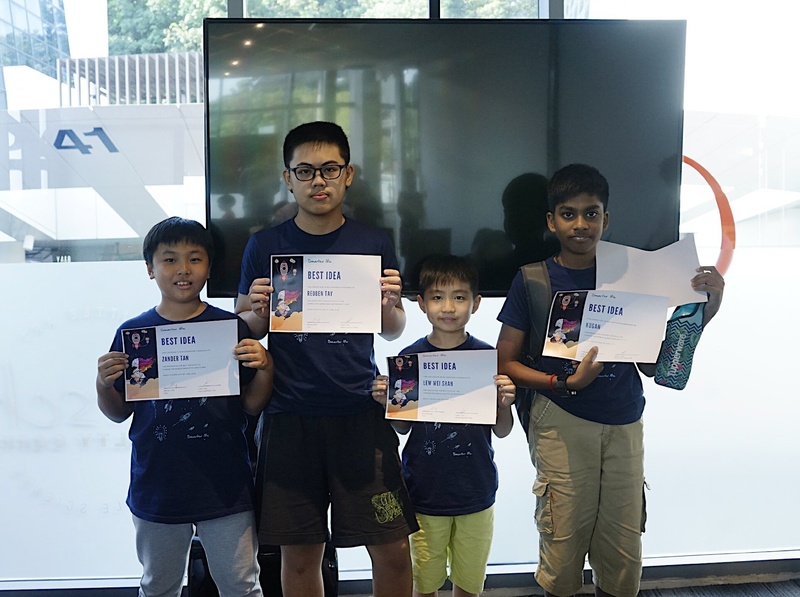 To summarise this camp, campers pick up coding and robotics skills, develop a design thinking mindset, and have to eventually work in teams to develop a business idea entirely on their own! Our instructors merely gave them the “tools” aka the steps to formulating a good idea: Think of a problem statement, understand the people facing these problems, and figure out how to design a solution for them. 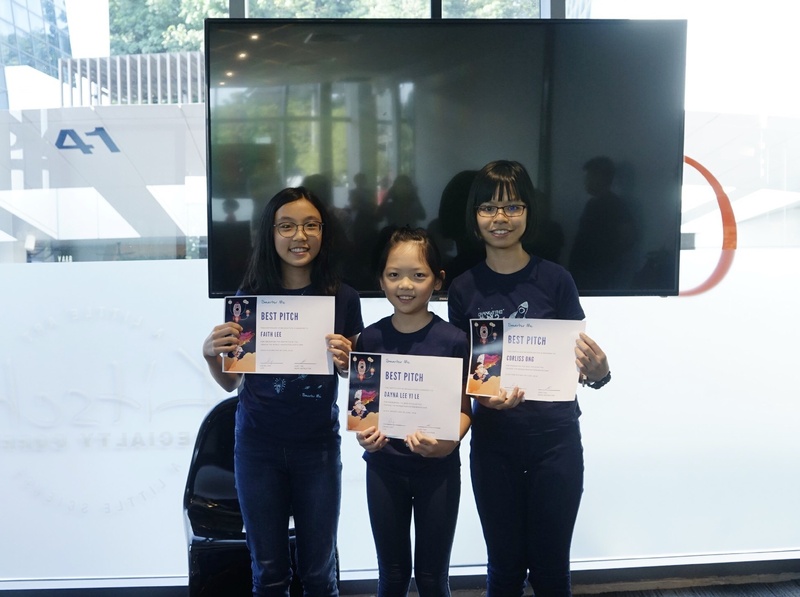 These kids brainstormed and discussed their ideas, conducted their research online, prototyped their product, and eventually pitched their business idea in a formal presentation to an entire audience. Synthesising the entire process into one sentence just isn’t doing them any justice. As a first-hand spectator of what was going on, I was in a constant state of mind-blown. Given the right tools and a bit of prompting, these kids were self-motivated in perfecting their ideas that they truly believed were going to positively impact the world. 1. E$AVE (pronounced E-Save), a smart home mobile application that solves electricity wastage. 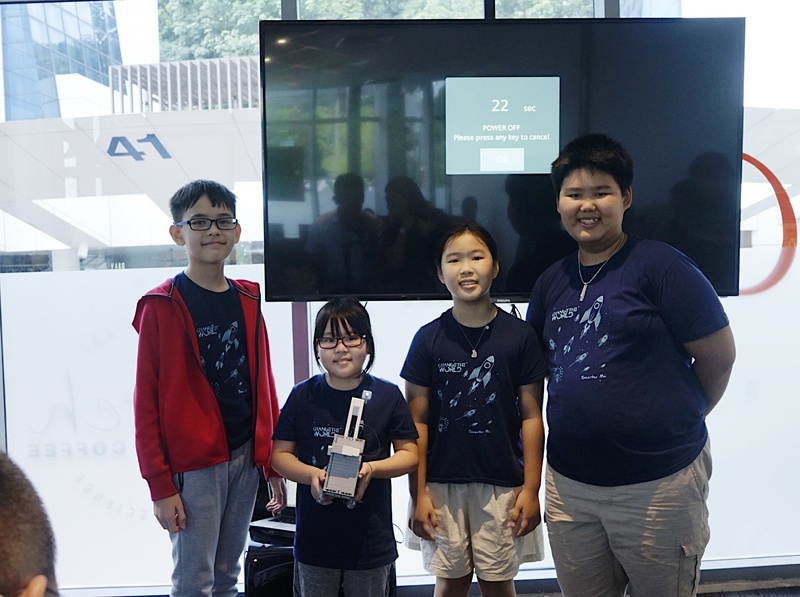 In light of the rising electricity costs in Singapore, this team of young gentlemen built a prototype of a mobile application that allows users to control their electricity usage at home! It is often a hassle to check your electricity usage, much less keep tabs on them. Hence, their application not only allows homeowners to be able to track their electricity usage, it comes with a function that switches off electricity once it has reached a maximum limit! What’s most interesting is the inclusion of a leaderboard, where users who have saved the most electricity will emerge top of the table. Who would have ever thought of combining gamification and saving electricity? Well, these kids did! 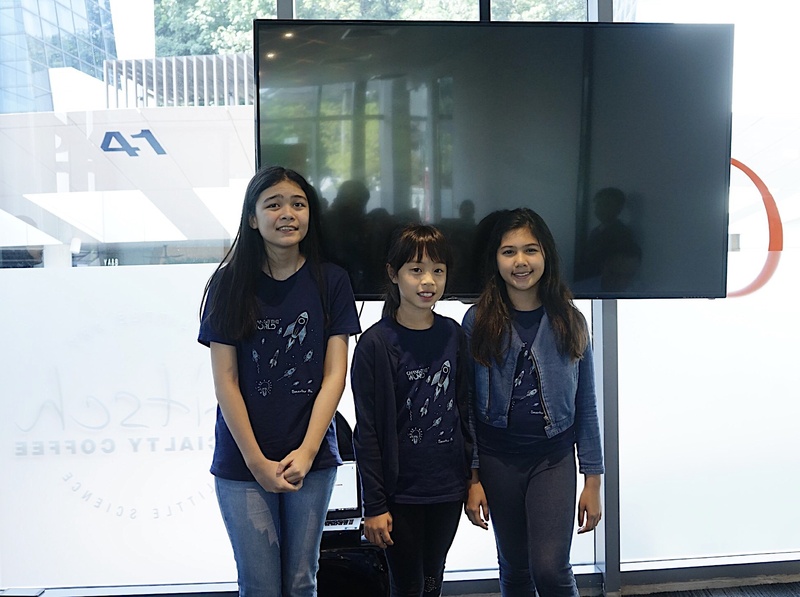 This team believes in the importance of racial harmony, and in order to increase children’s awareness of other cultures from a young age, they developed Map Quest - an educational mobile game surrounding cultures from all over the world. We used to look to encyclopedias to learn more about the world. But in this age of technology, can we still force our kids to do that? 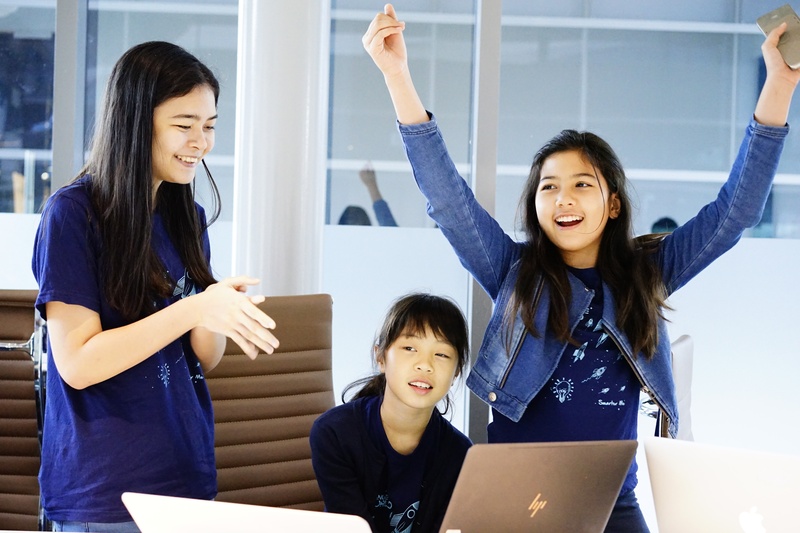 These girls identified the lack of cultural understanding and awareness amongst kids and teens these days, and thus they set out to foster an interest towards learning about the different cultures among the new generation of kids through their interactive game. They have also got their marketing strategy all sorted out. Even though the game is designed for kids ages 6 to 10, they plan to market to parents, whom they have identified as key decision makers, through mummy influencers on Instagram, as well as marketing to teachers and schools. A luggage that is fingerprint activated, with an alarm which will sound if it is forcefully opened, plus a GPS tracker. Sounds like something you can find on Kickstarter or Indiegogo? Except it’s not on either, and it was thought of by this team of kids aged 9 to 12 (who by the way, had never heard of Kickstarter before this camp). Not only that, they even managed to build a robot prototype of Luora, their very old biometric luggage! Maybe to kids who have grown up in an era of rapid technology, their idea of a biometric luggage isn’t that revolutionary. But to be able to program a robot prototype that works in just a couple of hours? I’d say that’s mightily impressive. The moment the kids realised that their prototype does respond when a finger is placed on the robot’s sensor, their shouts of delight and excitement were a treat to watch. Similar to Cultura, MGPlay is an educational application that weaves in real life history lessons into games. As fans of Star Wars, Harry Potter and Game of Thrones themselves, the three girls have developed a mobile game surrounding these well-loved fictional franchises. 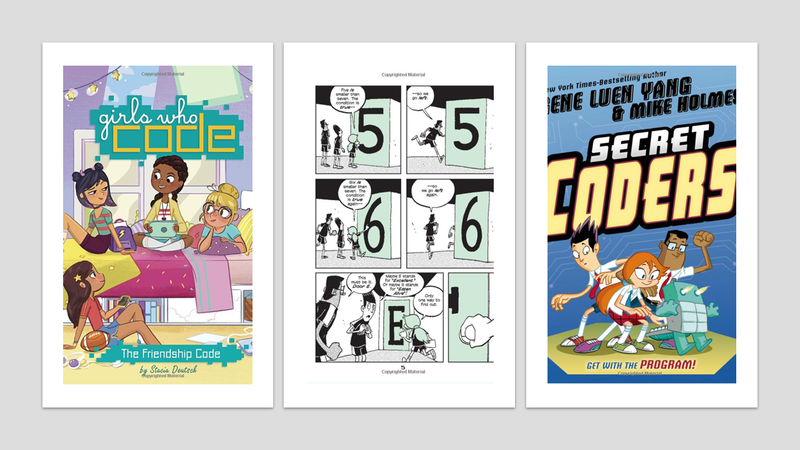 Did you know that many of these popular stories were based on real-life history? For example, the Stormtroopers in Star Wars were a depiction of Nazi Germany, and the “Blue Orb” that destroyed Princess Leia’s home planet of Alderaan mirrored the threat of nuclear warfare during the Cold War. Well, I never knew, not until I learned of it during this team’s presentation! Again, nobody would have thought of using these popular franchises to teach history. The team thought that the way schools have been teaching history lessons is outdated and well, boring. Hence they created MGPlay to encourage a love for learning history among kids! If the application does come to fruition, you can bet I’ll be the first to sign up! These kids were challenged to not only be creative with their business ideas, but they had to build a prototype of it too, and that was what impressed me the most. To think of the logical sequence of how an application or robot should be programmed such that their ideas come to life is no easy feat. What was more important was that these kids were enjoying every second of the process. No doubt there were frustrations when teammates were not working together, or when their prototypes were not running smoothly. But at the end of the day, they were self-motivated to succeed. These kids, more than 10 years younger than me, invested time and effort into building a business idea that they believe would impact the world. They had found a sense of purpose in those few days beyond scoring well for their exams or doing well in school. Instead of hearing skepticism from adults, they were encouraged to believe in themselves and their ideas. They were told that it is never too young to do something to solve a need or help their communities in a sustainable way. Witnessing the looks of determination on their faces during the entire process, and then fulfilment when they had completed their projects, was quite an inspiring sight. It sent me into a moment of reflection and made me rethink my stance towards enrichment classes for kids. While most of such classes are targeted at getting kids to emerge victorious at the end of the educational rat race, there are some which are designed to help kids see beyond academics, whose vision is to help our kids dream and achieve bigger, and ultimately find that sense of fulfilment most of us young adults are still searching for. As cliche as it sounds, the potential of our children is far greater than we often believe and sometimes, a good enrichment camp is all we need to realise that. Missed out on Smarter Me's Change The World Innovation Camp? Not to worry, as we have one more session coming up in July. Alternatively, develop your kid's entrepreneurial mindset at our entrepreneurship camp!